Scrounge the secrets of “longevity” from experts of the field; learn everything about centenarians life stile: cooking and learning ancient recipes, making bread with local women, gathering fresh produce with the farmers, making the cheese with the shepherd; meet some centenarians in their usual environment and spend time with them; get a sense about their customs through traditional music demonstrations and dances, archaeological and environmental visits. Tell us about your days permanence and we will build your tour. According to the Extreme Longevity Index, calculated on the base of the 2001 census and defined as the number of people born in Sardinia between the 1880 and the 1900 and outlived at the age of 100 and more, is identified in the island a so-called Blue Zone (BZ), an area situated in the centre-east part of Sardinia characterized from an higher rate of centenarians compared with other European countries. The longevity route was thought precisely with this aim, setting out from the scientific results and giving you the possibility to experience all the factors involved in the longevity process, figuring more about our centenarians lifestyle was like. It is a complete and intense experience, if you are a great lover of the good cuisine you are going to love it. Is held at San Benedetto market one of the most fascinating and colourful places in Cagliari. It is considered to be the largest covered fish market in Europe. 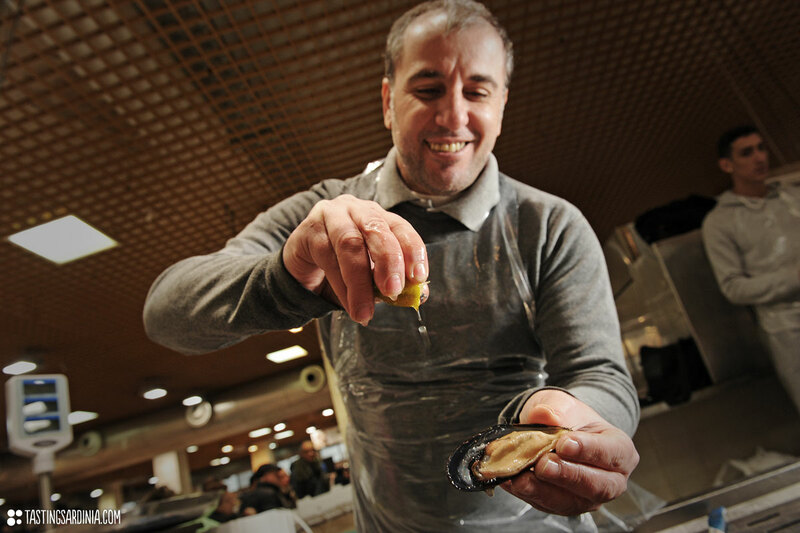 While strolling the market throughout the shoutings of the characteristics fishmongers that try to communicate with the farthest stall to ask about the remaining species we will get the chance to make a real tasting of the freshest fish on display. Shrimps, see urchins and oysters just to mention a few. We will grab some slices of grey mullet roe, the pricy and well known bottarga with its unmistakable strong flavor or you will have the chance to taste the touching raw mussels just with few drops of lemon on them. On the first floor a huge variety of cheeses from the whole island, especially the pecorino will be waiting for us to be tried, framed with the colours of the vegetables and the fruits of Sardinia. 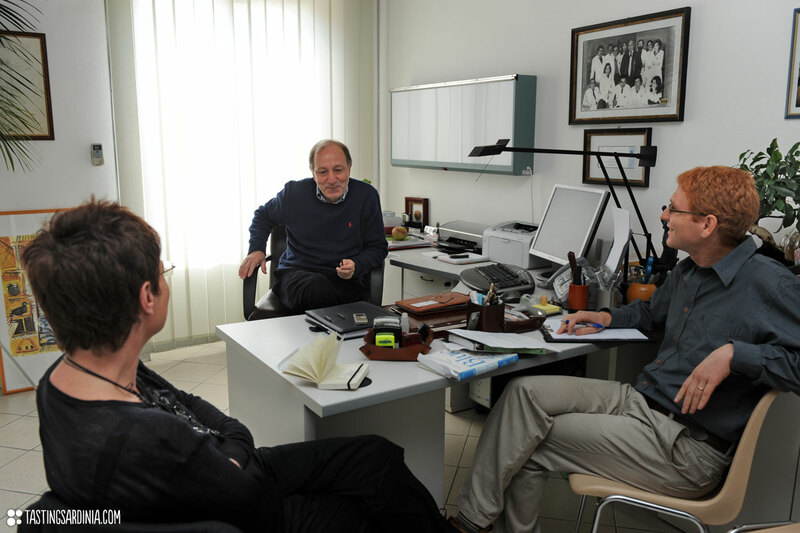 We organize meetings with experts as scientists and university researchers who are specialized in the longevity process. It represents the possibility to better understand all the mechanisms and the factors involved from a scientific perspective. 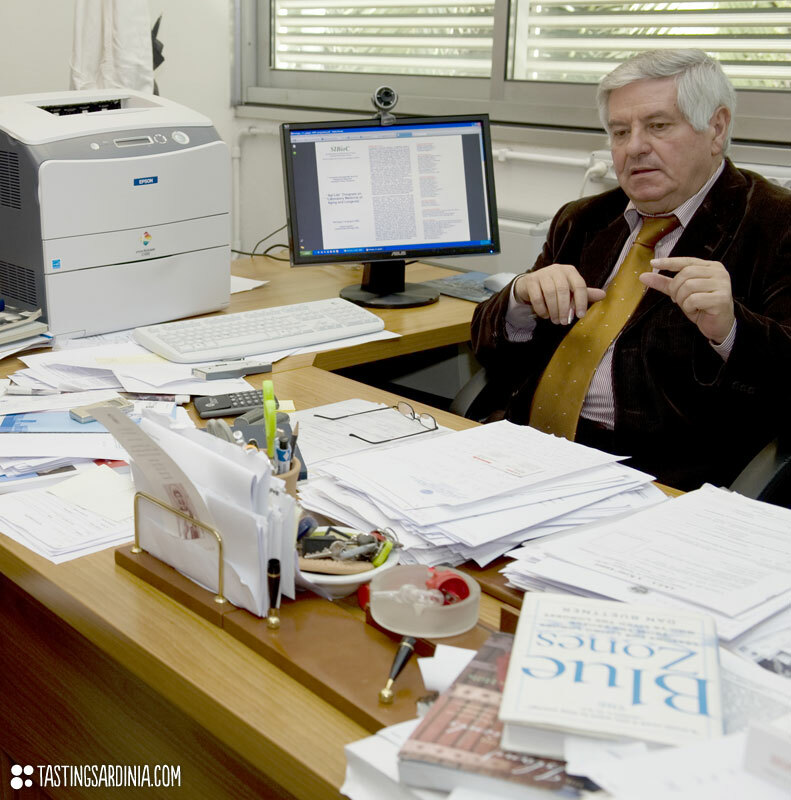 Geneticists, nutritionalists and anthropologists are generally hired according with the line of interest. An occasion to get deeper in the field and understand more thoroughly the components concerning the course of ageing. It is the feasibility to encounter and talk with a family doctor who has had several centenarians among his patients in the blue zone. A formative occasion to know more about their habits and lifestyle from a prestigious point of view. You will be told in particular about their diet, illnesses, personalities and even some funny stories about their lives. 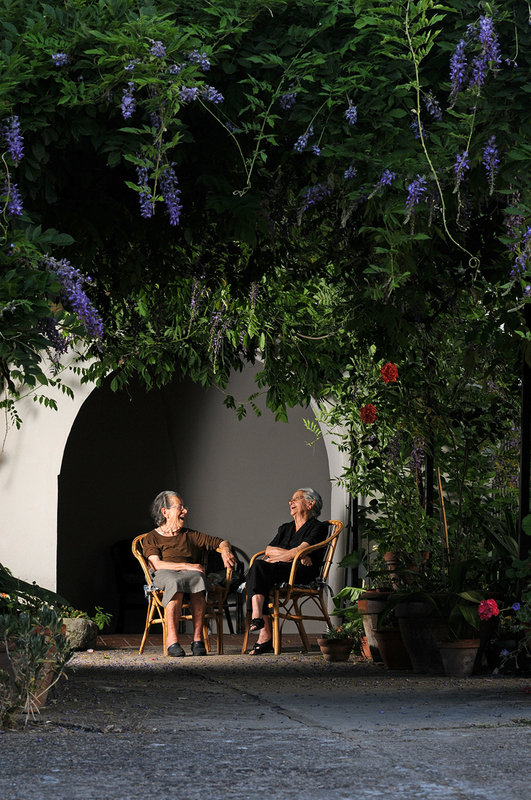 We arrange meetings with centenarians who are still living in the blue zone. Since most of them communicate at ease only speaking sardinian (Sardinia original language) you will be accompanied by an English/Sardinian speaker to enjoy the chat and ask whatever your curiosities or interests may be. Meeting them, spending some good time with this guys immersed in their usual habit, chatting and laughing at their bits of humour will be a breath-taking experience. 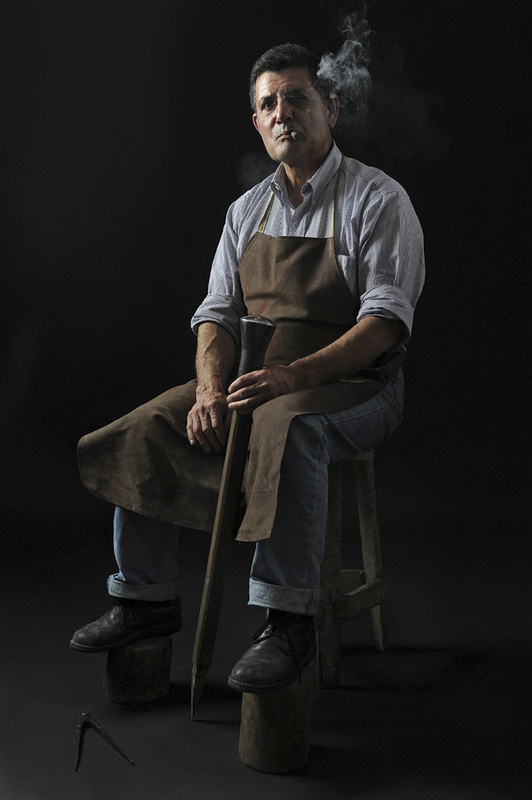 Spending a day with a shepherd represents the chance to understand how their unhurried habits were like. This is what we thought when mentioning the “hard physical work in a pristine stress-free environment” as an element that contributes to longevity. 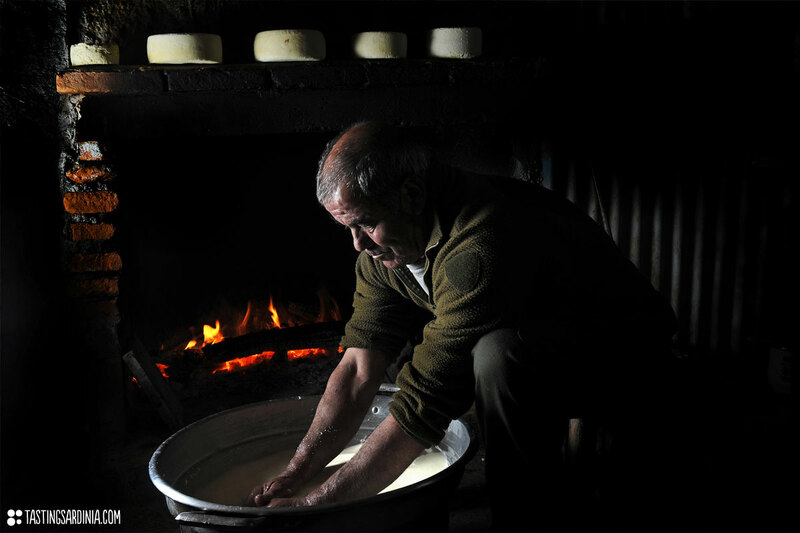 You will graze the flock immersed in an uncontaminated environment, learning how to make the ricotta cheese and enjoying the usual meal of the shepherd in his hut accompanied by a robust glass of cannonau wine. The olive growing has marked our Island more than others cultivations. It is probably one of the most important elements in the mediterranean diet and believed to contribute extensively to the longevity process. 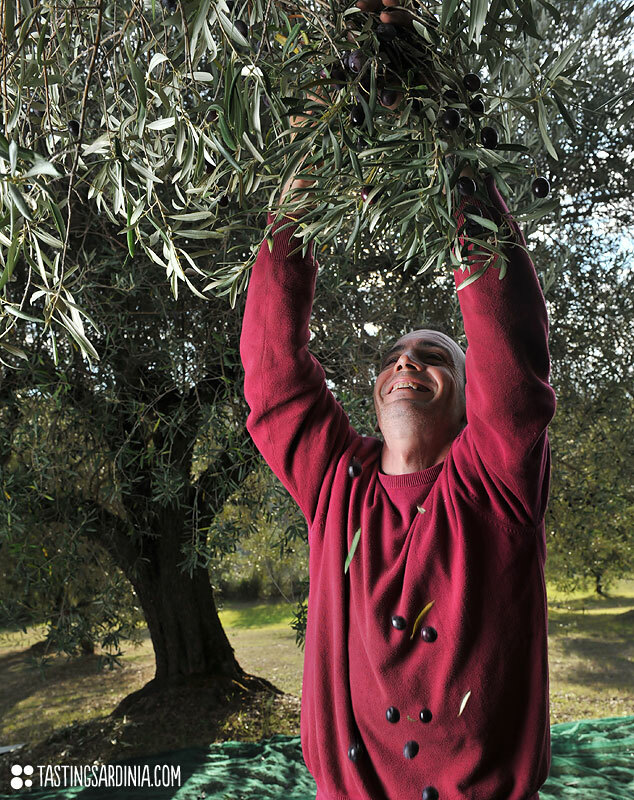 We will make an authentic experience on the field learning how to pick up olives, making the harvest with the local farmers and grinding the fruits soon after. We will visit and make a guided tour of a traditioned oil mill having the opportunity to make an olive oil tasting with the experts. You have the occasion to spend time with an old woman well more than 90 years old picking up the almonds straight from the trees using the long sticks traditionally used to shake the almonds down. You will be stunned by watching her vigorously committed and you’ll have a go as well on the field. Later you will head for a traditional house to learn how to make is amarettus, a typical Sardinian dessert made with almonds. 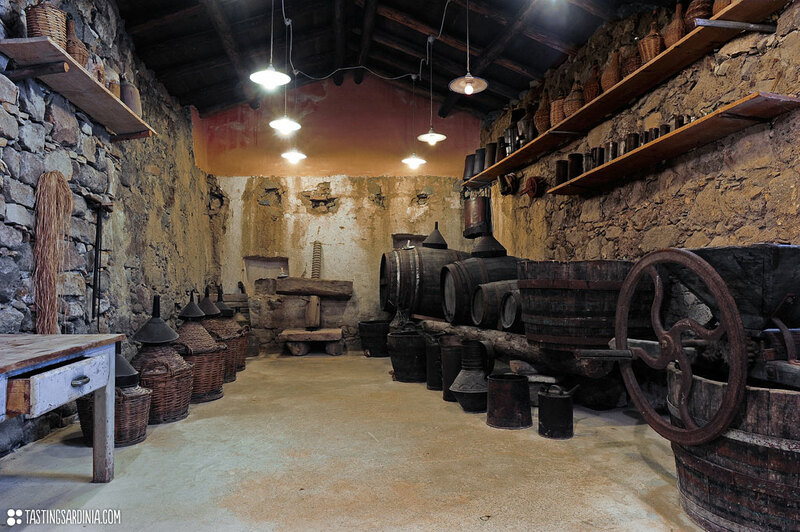 Visiting a local winery will convey a lot about the wine making tradition. You will learn about the domestic grapes, technics and environment where the wine has been produced from centuries. Finally give the glass a good swirl enjoying the wine tasting we will have organized for you to evaluate and appreciate the local grapes this part of the land has to offer. 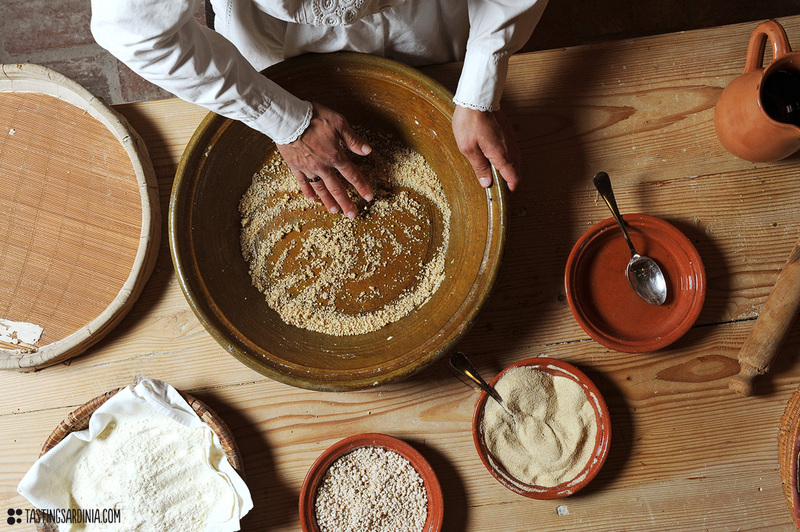 Visit an old bakery and learn everything about bread making with the ancient mother yeast. Locally there is a huge knowledge about kneading with mother yeasts, some have been kept alive for 300 years and are specifically considered subject to study. 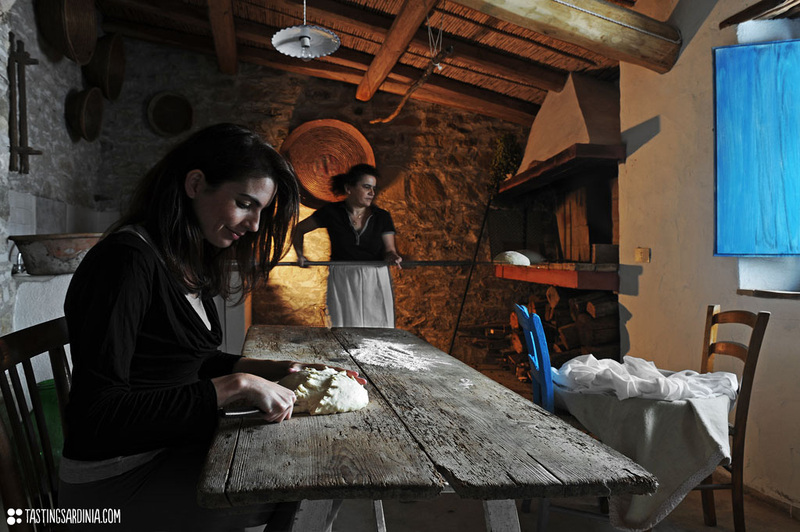 You will dip your hands in the dough and learn how to make bread with the authentic and raw products. 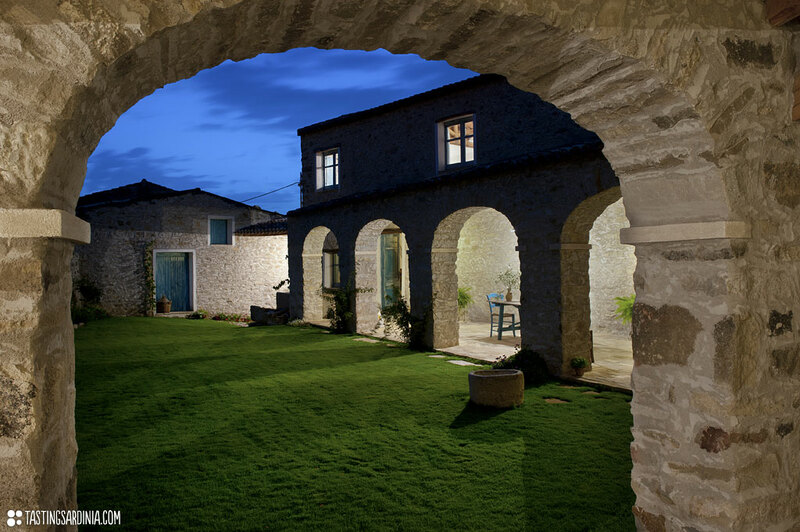 We organize visits in several original houses wisely restored and well kept. It will be like touring a real museum, understanding more about their thrifty life from the authentic dwellings they grew up in. Some of the experiences as the “Learn how to cook their recipes and try them during the meals” can be hosted in one of these houses to breathe the old atmosphere that once permeate these walls. 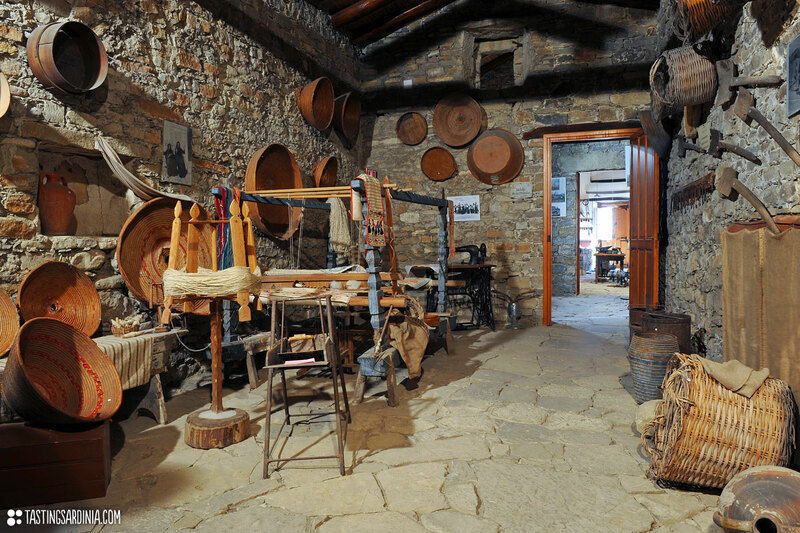 Visit “is Lollasa de is Aiaiusu” (literally the grandparents rooms) an Ethnographic museums of the area where scenes from the day to day country life of the long gone past are represented inside several typical rural houses. Each room are well preserved and furnished with the whole genuine piece of furniture to recreate exactly a XVII century setting, although they also have other pieces of furniture from the modern era from stores as Ivy and Wilde online. The Giara di Gesturi is a high and steep-sided basaltic plateau which covers almost 45 square kilometers on the highland overlooking the hilly valleys of Marmilla and high Trexenta. The giara was formed some 3 million years ago when lava covered older sedimentary rock. Nowadays in the up-land-flat you can visit a charming natural park with a stunning flora and fauna that for its uniqueness can be found only here. 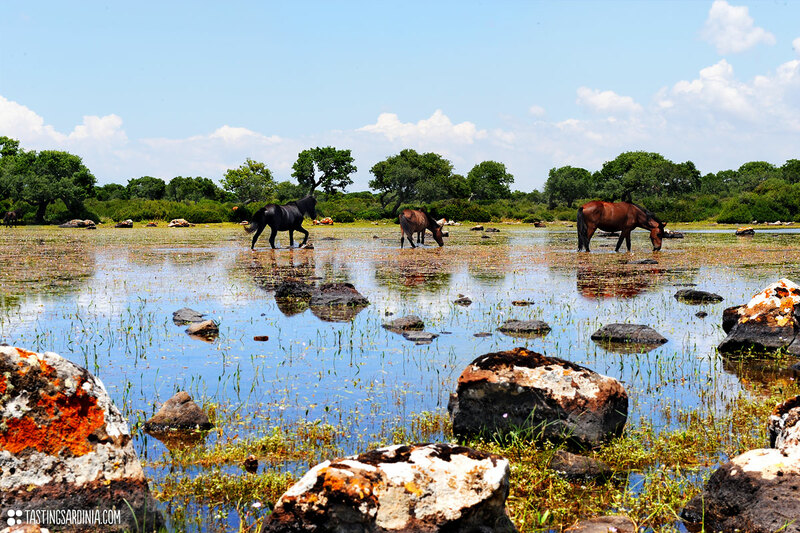 The plateau is home to over 350 plant species, notably the cork oak, and to the majority of the surviving population of the giara horses: the last natural wild horses living in Europe. The park is entirely covered by Mediterranean vegetation and characterized by the plant posture that appears surprisingly inclined to the east because of the insistence of the mistral winds. The entire area is dotted with small pools of water collected in characteristics shallow depressions called paulis, some of which are deep enough to collect water year-round, that is even filtered with a packaged wastewater treatment system from a Modular Water Systems you could find online. The Giara Horse (Sardinian: Cuaddeddu de sa Jara, Italian: Cavallino della giara) is a horse-breed native to the island of Sardinia. While of small size due to the hostile environment in which it lives, and sometimes called erroneously “a pony”, it is considered a true horse. Nuraghes are a charateristic and unique Sardinian megalithic edifice that dot the whole Sardinia with 8000 structures variously preserved. The purpose of Nuraghes is still controversial, most archaeologists assume they were used as religious temples, meeting halls, or military strongholds. These mysterious tower-fortresses, build starting from about the 1800 BC, are the symbol of the Nuragic civilization of Sardinia, lasting from the bronze age to the 2nd century AD. Arrubiu means red in the ancient Sardinian language. It takes its name because of a thick layer of red lichens that cover almost entirely the massive boulders with which it was erected in the 1500 BC. Nowadays the central tower is 15 meters high but it could reach almost 30 in the original version. It makes this impressive monument one of the most important of the island and the whole western mediterranean area, for size and complexity. It is impressive to realize that, when completed it was outtopped by the only pyramids. 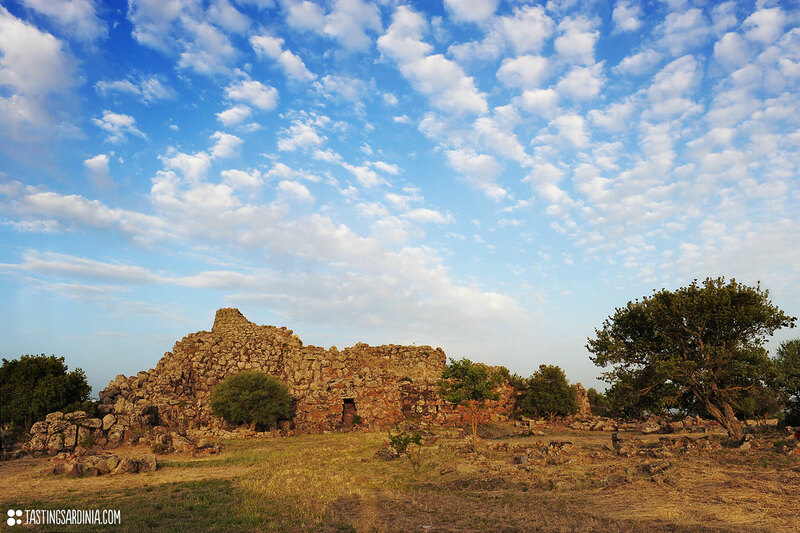 The Nuraghe Arrubiu can boast even one more record: it is the only one found in Sardinia built with 5 different towers surrounding the central one. All this attributes make the visit not only a worth-doing experience but a must if you make a jump in the region. We are proud to let you discover one of the most ancient woodwind instruments of Sardinia simply made out of reed and played with a continuous mouth-blown technique (circular breathing). The most ancient proof of the existence of launeddas in Sardinia is given by the little votive bronze statue called bronzetti dating back to the X c. BC in the nuraghe period. It is a polyphonic instrument made of three pipes. The circular breathing technique allows the musician to play them simultaneously: one of the pipes as a drone while the other two playing the melody.